Presented here is a Warren Telechron Tower Clock, with its Original Milk Glass Dial and (painted - paint can be removed) COPPER BEZEL. This clock would have originally been bolted to the side of a building or Tower, and lit from behind, so as to be seen far and wide at night. The translucent milk glass dial is in very good condition, with no cracks or chips. The dial is signed Warren Telechron, and the movement is an Electric Time (EL Time) movement (likely the original) with a Telechron motor. The clock is in great running conditon, and can be Set from the back of the movement. 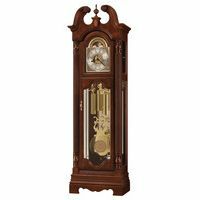 The hands are in great shape, are original to the clock, balance well, and move with ease when setting the time. 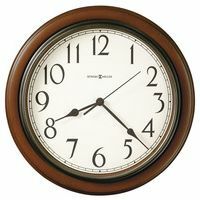 This is a very heavy clock, at about 50 pounds, and very large, at 33 inches in diameter, and with a 28 inch dial. As avid collectors as well as dealers, we were particularly torn about whether to sell this great clock, or to keep it, and have in mounted on a wall, with a flourescent light and wood behind. The copper bezel can also be stripped and polished, or simply left as is. 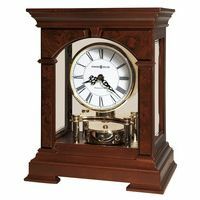 This clock will make a SPECTACULAR addition to any room of a Home, or Building, or Tower. It would also make a fantastic Gallery Clock. The Warren Telechron name, for those who may not know the "brand", is the most respected of all the Telechron names, in its long history.